It’s a captivating image, and one that caught the imagination of Margret Meagher, who met Dr Cohen at an arts and health conference in Chicago in 2006. Margret would go on to establish the Australian Centre for Arts and Health and convenes the annual International Arts and Health Conference, now in its ninth year. She’s deeply involved in the concept of Creative Ageing and how the arts can have a powerful positive impact on the mental and physical health of older people. 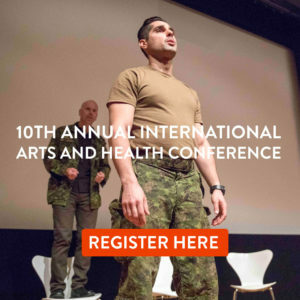 Dr Cohen’s landmark US study across three cities and four years found that engagement in the arts – that is actively taking part, not just listening to music or watching a movie – increases confidence and self-esteem, reduces the length of hospital stays and reliance on medication, improves heart and respiratory function and even results in less falls. Margret believes this is due to a combination of activity, the sense of achievement and mastery involved (often unavailable to seniors), as well as the social connections made. “A research paper in the US made the statement that loneliness is more detrimental to health and wellbeing than smoking 15 cigarettes a day, and is more likely to usher in an early death,” Margret said. This can be overcome by participation in the community, for instance, singing as part of a choir – a growing pastime worldwide – creating something of beauty for others to appreciate. Margret also strongly believes in the need for interconnection between generations, with old and young taking part in a knowledge transfer, for instance older people teaching the young knitting or other crafts and the young, in turn, teaching them how to use technology. “These interconnections are really important because one of the biggest issues of getting older is ageism, which is pervasive across Western society,” she said. This changing of perceptions is part of Margret’s work with the NSW Government Ministerial Advisory Council on Ageing, and includes altering people’s approach to the elderly so they are not doing things “for” but “with” older people. She believes local government has a “massive role to play in the way older people live their lives”. CREATIVE AGEING: Australian Centre for Arts and Health patron and former NSW Governor Dame Marie Bashir with ACAH founding director Margret Meagher. As the custodians of libraries, community centres, art galleries, museums and more, she believes it is incumbent on local government to ensure older people have access to these activities. That is where ageing needs to be thought of from a whole-of-government perspective, with transport links and access to the arts and services vital. “The older population is increasing exponentially and we are coming to the point where there will be more older people in the world than young, which has massive social and financial implications, particularly with a commensurate increase in the incidence of dementia,” Margret said. Hence the need to change another preconception, the idea that arts is an elitist activity. And, Margret pointed out, involvement in the arts does not have to be expensive – joining a choir, an art or craft group, woodwork or a book club, going dancing, joining U3A or a community group involves only a minimal outlay. “The sadness is that when people get older they tend to drop away from engagement in the arts, particularly after 75, because they are reluctant to go out at night or to go out alone,” she said. 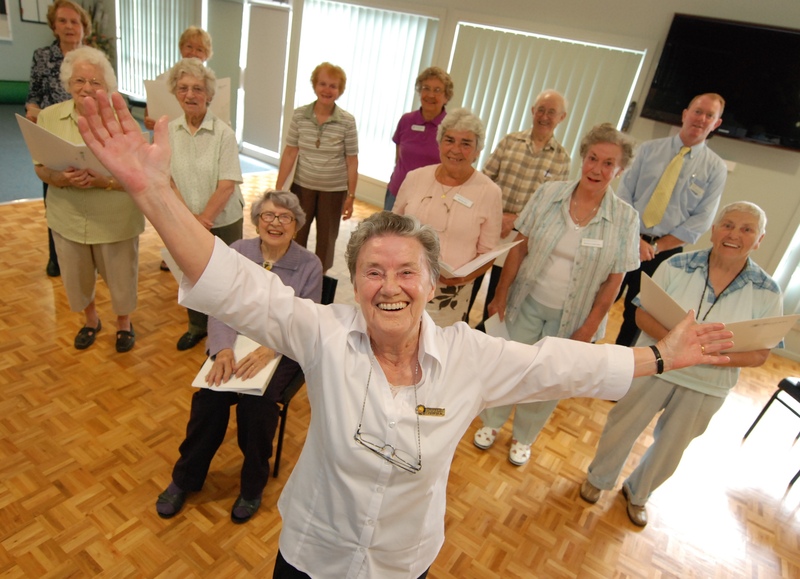 The Creative Ageing Festival, which Margret instigated three years ago in collaboration with Port Macquarie-Hastings Council, on the NSW Mid North Coast, devised a Cultural Companions program, whereby people reluctant to go out alone can pal up with others, giving them confidence to go out, and overcoming associated problems such as transport and geographical distance. “The case for arts in relation to health is very clear, and people in government are coming to the realisation that prevention is better than cure,” Margret said. A prominent gerontologist, the late Dr Gene Cohen, presented the business case for the arts almost a decade ago, finding the financial savings to government amounted to millions on the basis of reduced reliance on medication alone. “It is a basic human right that all people should have access to creative activity because creativity is an essential part of the human condition. We are all born creative,” Margret said. However, she said, it was also up to all of us not to minimise our abilities or be constrained by age. As for the future, Margret believes it is bright, with Baby Boomers demanding better quality facilities and services for their parents and themselves, so that access to creative activities will become an accepted part of life, not a special occasion. 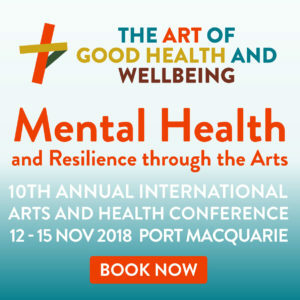 Margret Meagher is Australian Centre for Arts and Health Ltd director, adjunct senior lecturer at the University of NSW, Sydney, member of the NSW Ministerial Advisory Council on Ageing and convenor of the 9th Annual International Arts and Health Conference – The Art of Good Health and Wellbeing – from October 30 to November 1 at the Art Gallery of NSW.